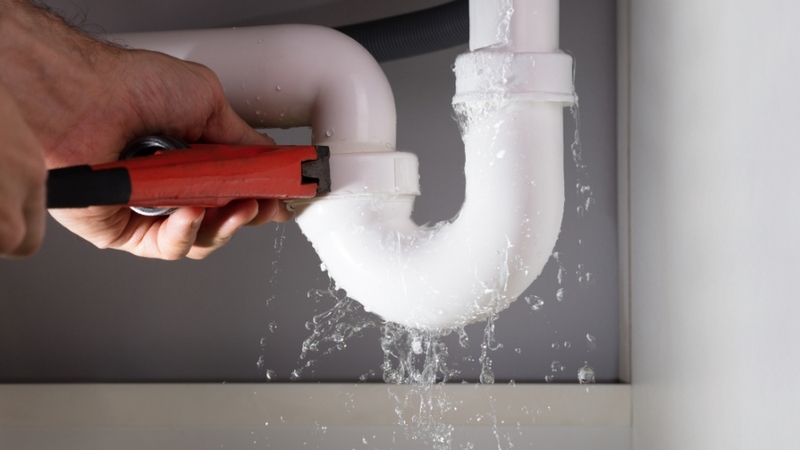 Common plumbing issues such as leaks and overflows can quickly lead to major structural damage if left unfixed. With that in mind, here are five of the most telling signs that it’s time to call a local licensed plumber to prevent your small problems from becoming big and expensive ones. Shower water that doesn’t come out forcefully or toilets that take too long to flush are common examples of water pressure problems. Low water pressure is typically caused by a clog, leak, or an incorrectly sized pipe. A professional plumber will be able to easily solve your water pressure-related problems before they turn into something more serious. To avoid future issues related to water pressure, consider asking your plumber to install a water pressure booster at the water meter. If you live in a region that regularly experiences below-freezing temperatures, you’re probably familiar with the problems that stem from frozen pipes. Frozen pipes lead to a lack of running water, which can interfere with your ability to do simple, everyday tasks, such as washing the dishes or taking a shower. Frozen pipes also have the potential to burst because of the pressure created between the closed faucet and the built-up blockage. Pipes in Southern climates, or climates that rarely experience below-freezing temperatures, are particularly vulnerable to freezing because they lack insulation. Also, water pipes along exterior walls and in attics or basements have greater tendencies to freeze. Plumbers can easily fix frozen pipes before they turn into worse problems. If you’re unsure whether or not your pipes are frozen, look for common signs including visible frost on exposed pipes and clanking noises. According to the Environmental Protection Agency, a leak making one drip per second can waste as much as 3,000 gallons of usable water each year. Leaking faucets are both wasteful and expensive, often causing unnecessary your water bill to increase. Dripping faucets usually occur when interior parts of the faucet wear out. Call your local plumber to replace the worn out parts before the charges make your water bill soar. If your drain is draining slowly, it’s most likely clogged. The best way to fix a clogged or slow drain is by calling a professional. While it’s tempting to take the easy route and use chemical drain cleaners, they often do more harm than good. Chemical drain cleaners can corrode and damage to pipes, which could end up costing more to fix in the long run than a basic drain cleaning. Your local plumber will be able to quickly fix your clogged drain using specialized plumbing tools. If you have these tools on hand, you can try to unclog the drain yourself. For sinks, tubs, and toilets, combat the clog with a plunger. If the clog is further down the pipe, use a plumber’s snake. Unclear water — especially water that’s blue or green — is a sign of corroding copper pipes in your home. Or, brown water can be a sign of iron in water or water heater-related issues. If the water running out of your faucet or shower isn’t completely clear, there’s likely an underlying problem. A licensed plumber will be able to fix your pipes and ensure that your water is safe to use. It’s tempting to ignore common plumbing issues and hope they go away, but doing so will often cost you more in the long-run. If your home is experiencing any of the aforementioned issues, pick up the phone and call a reliable plumber.